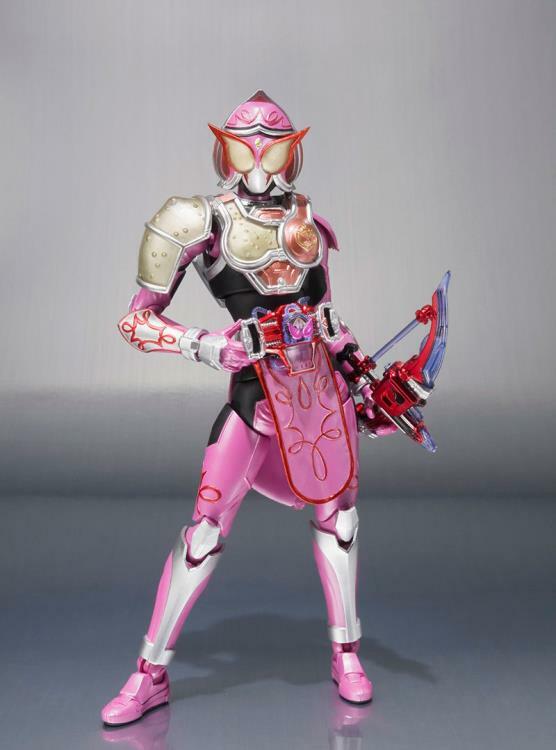 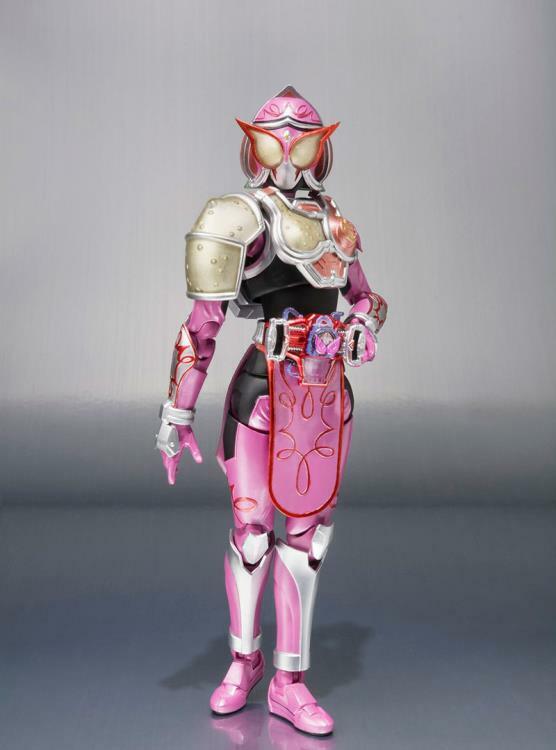 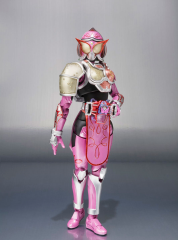 Tamashii Nations brings you an exclusive S.H.Figuarts figure of the Kamen Rider Marika in her default Peach Energy Arms armor! 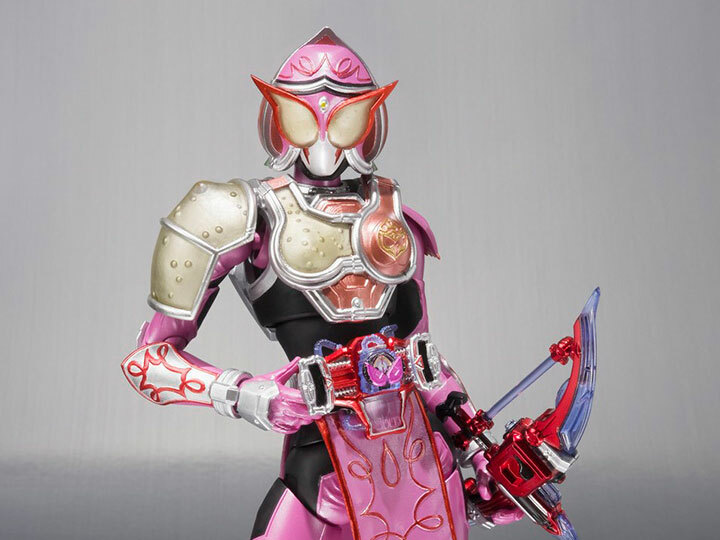 This articulated figure from Kamen Rider Gaim sports an Arabian soldier motif and wields a powerful bow. 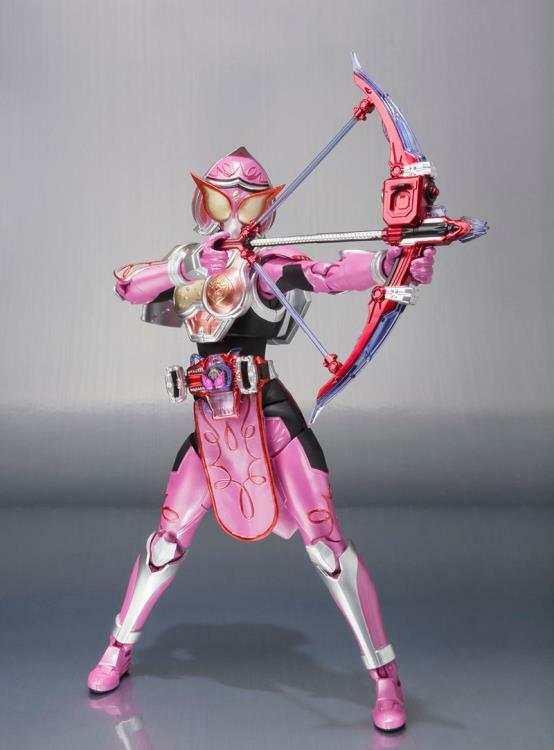 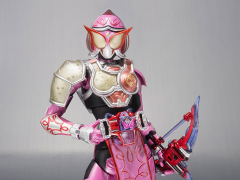 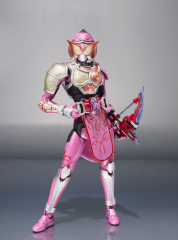 Marika features her default Peach Energy Arms armor and comes with her Sonic Arrow weapon, 9 interchangeable hands, and her Drive Driver.